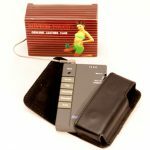 The Rhythm Touch 2 Way electrical muscle stimulator is a time-tested neuromuscular stimulation massager that has been helping people experience relief from pain for over 20 years. Its ease of use provides well-being without effort – simple comfort for you! Difficult-to-read screens with tiny numbers are a thing of the past. The Rhythm Touch has a single dial ranging from one-to-five along with five buttons: one button for on and off and four buttons to choose the programmed mode(s) of stimulation you want to use. You can also choose to switch to dual channel on the top of the stimulator – again, with the flip of a switch. This allows you to use two lead wires and four pads at the same time. 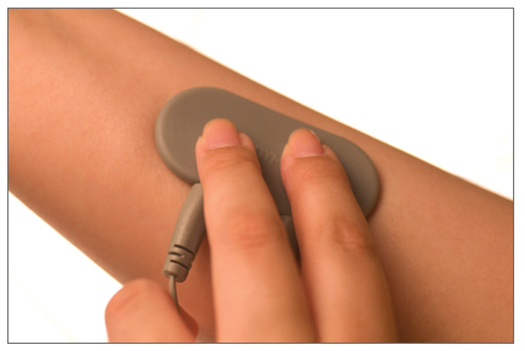 The Rhythm Touch uses both Electrical Muscle Stimulation (EMS) and Transcutaneous Electrical Nerve Stimulation (TENS) to help alleviate your pain and condition your muscles. 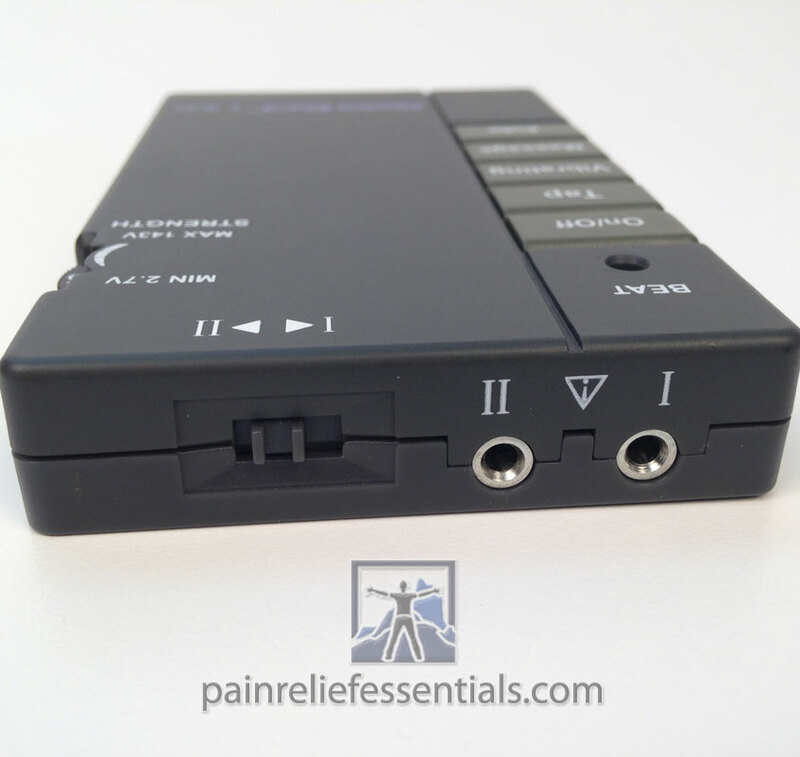 Pain relief has never been easier. 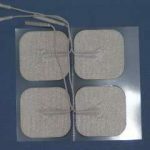 Simply place the Rhythm Touch electrode pads over your area of pain, select the setting that’s right for you, and stop your hurt where it starts! 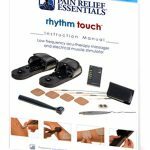 Order the Rhythm Touch 2 Way complete kit electrical muscle stimulator today and receive and extra set of 4 adhesive gel pads for the Rhythm Touch free! 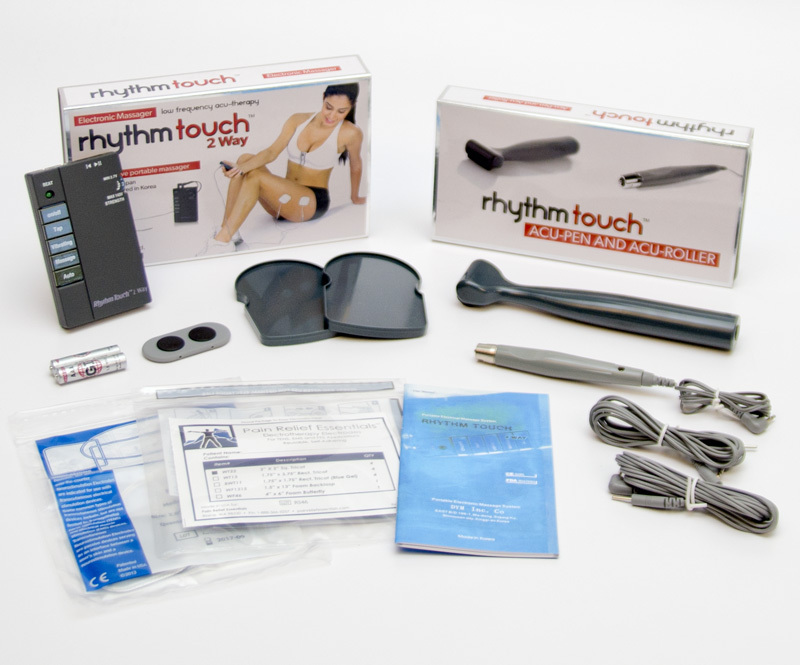 Save 10% on the Rhythm Touch Complete Kit and Packages. ⇒ Join newsletter for code. Are there more reasons to choose the Rhythm Touch? Absolutely! 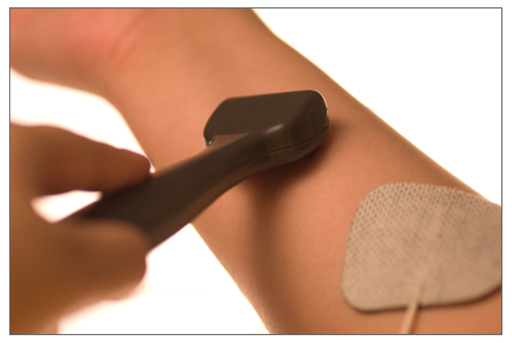 The Rhythm Touch not only provides simple comfort, but it truly addresses the issues of muscle aches, pains, and strains. 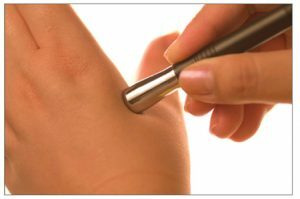 Multiple manual modes that deliver specific treatment techniques. From acu-therapy to deep tissue massage you’ll find therapy for multiple conditions. An automatic mode that has been specially calibrated using a series of pre-programmed pulses to optimally deliver therapeutic results ranging from soothing relaxation, to deep-tissue stimulation, to invigorating muscle-conditioning. Interception of pain signals that travel along nerve pathways, effectively minimizing or virtually eliminating the body’s pain sensation around the area of treatment. Stimulation of the body’s natural production of endorphins. Endorphins are endogenous opioid polypeptide compounds, better known as “natural pain relievers”, which have the ability to produce analgesia and a feeling of well-being, ultimately working together with the Rhythm Touch to fight tension. Increase in blood flow to the affected area, reducing inflammation and removing inflammatory toxins by initiating the stimulation of muscle fibers. No matter how many reasons there are to purchase the Rhythm Touch, the most important one is assurance that this easy-to-use medical device delivers pain relief in one purchase. Experience the simple comfort you have not felt for years. Extended 5 Year Warranty on Rhythm Touch EMS unit. 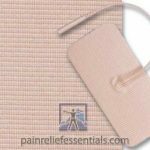 One extra set of 4 premium Pain Relief Essentials brand of Rhythm Touch Replacement Pads. Products are normally sent the same or next business day from the day your order is placed. During holiday periods there may be delays. Check out the reviews tab to see more about what our customers say about the Rhythm Touch. It (the Rhythm Touch) not only solved my neck problems, but over the years my family has used the device for various physical ailments with great success. However, my greatest benefit..
Kevin: Thank you for shipping my replacement subject item. I purchased my first Rhythm Touch 2 way about twenty years ago for treatment of neck pain. It not only solved my neck problems, but over the years my family has used the device for various physical ailments with great success. However, my greatest benefit has been derived from use of the Acu-Feet therapy for my peripheral neuropathy. Frequent use has effectively massaged my feet and reduced my foot nerve pain. I praise your product and customer support at the highest level. Please pass on my comments. I had the 2 Way for about three years. It has done wonders for my bad back and pinched nerve. My wife has recently started using for her foot pain she gets from tennis. I am now ordering a second one because we both are using it so much we don’t want to share and I take it with me when I travel. 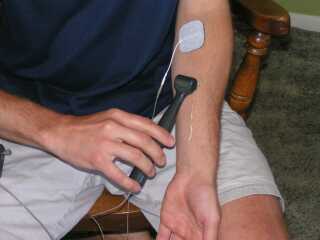 I’ve had my Rhythm Touch for four years. I have various back issues, and it has helped me so much with those. I LOVE the gadget, and take it wherever I go. I wouldn’t be without it! I’ve used it (tiny pad) on my jaw when I had the TMJ issue, and it immediately helped with the pain. Combined with ice packs and chiropractic treatments, I got through the last episode of TMJ pain so much faster than previously . The gadget is so convenient to use. Use it while working, riding in a vehicle, shopping, etc. You use it while continuing with your normal daily tasks. Not only does it give relief from pain, it’s convenient to use. Thanks Kevin. My wife and I love the Rhythm Touch. It has provided fast and effective relief for Becky’s tennis elbow and has been great to relax tension in my neck. Really happy with our purchase.